A panoramic view of our makerspace. I am proud to announce that our high school’s makerspace is now open for business. Called STEAMWORKS, this space is for students to build and explore new technology (and even take apart old technology). We have spent the last few months finding a space, funding, and materials to bring the maker movement to our students. We were inspired by many of the top schools in the country that have built makerspaces on their campuses. UC Berkeley, Case Western University, Cornell University, and MIT are a few that now have makerspaces for students to explore emerging tech. Overall, recent estimates put makerspaces in 60 colleges throughout the nation where students can do things like learn to print in 3-D or build a drone. John Booske, a professor and chair of the electrical and computer engineering department at the University of Madison-Wisconsin had this to say about makerspaces in a recent article: “We’re going to see more and more adoption of makerspaces as institutions are able to. They are one model of a larger trend which is moving towards active learning.” For Booske, makerspaces are part of the trend in education “towards personalized and blended learning, the flipped classroom model and a more collaborative learning environment.” This trend can be easily seen in the student-run makerspace lab on the campus of MIT called “MakerWorks” that opened last year. This lab is a place where “students, faculty, and staff are allowed to work freely on any project they choose” and “consists of prediction, prototyping, and validation tools to support a wide variety of projects.” MakerWorks has become a popular place on MIT’s campus as students have embraced the open culture and accessibility of the technology it contains. It’s imperative that schools begin to offer places where students can direct their own learning while having access to resources not encountered during the traditional school day. Learning to work with classmates, teachers, and members of the community can help inspire students to take charge of their learning while also preparing them for the types of experiences they may encounter in the future. 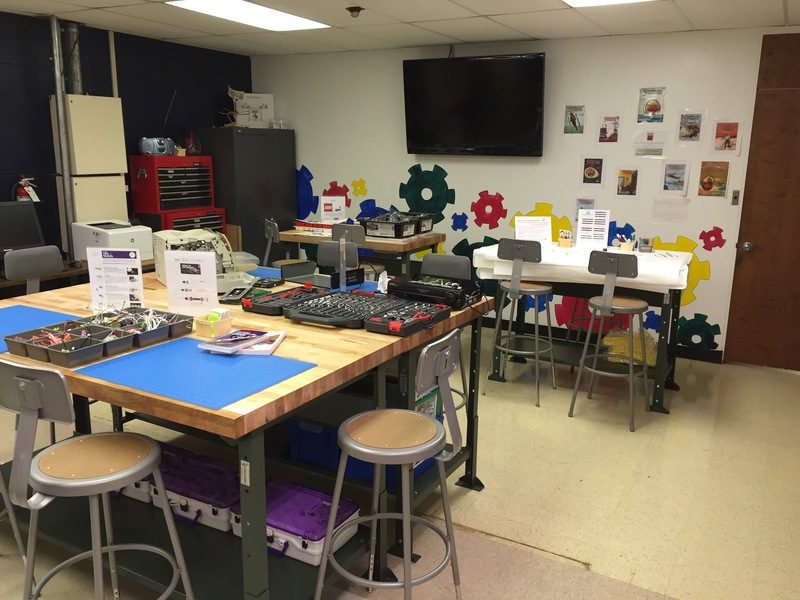 Below are pictures of our new makerspace. We will offer our first makerspace camp this Saturday morning for elementary students in our school district (it “sold out” in a few hours). I have worked in public education for well over a decade. During this time, I have come to feel strongly that providing students with a variety of opportunities is the backbone of the public education system. It is imperative that we as educators continue to introduce students to different and new ideas and activities in hopes that they will positively impact their future. The problem is, the world is changing faster than it ever has, making it all the more imperative that we continue to provide students with opportunities that are relevant in this technology-rich world. New technology is quickly altering how we live and the types of careers our students will likely venture into once they graduate. While traditional careers like dental hygienist and occupational therapist are still included in top ten jobs lists, newer occupations like data scientist, software engineer, and biomedical engineer are now included as well. In fact, eight of the top ten jobs included in CareerCast’s Top 200 Jobs of 2015 are in STEM-related fields. Many of these jobs require that employees be able to work collaboratively on teams and use critical thinking skills to analyze large amounts of information quickly. Besides these STEM-related occupations, new software and devices seem to appear daily, making it difficult for schools to keep up with the rapid changes that are occurring. It is important that schools give students opportunities to explore cutting-edge technology without waiting for that technology to become a part of a curriculum’s unit of study. The reality is that things can move so fast that by the time new technology becomes part of a traditional course, it can very quickly become old technology. 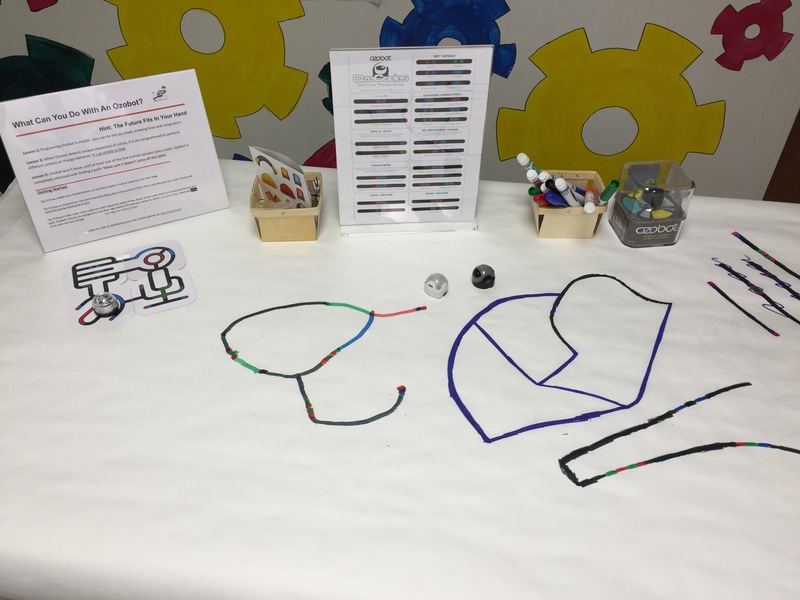 A makerspace can help bridge this divide by quickly bringing students into contact with new technology and ideas in a low-risk, collaborative environment. 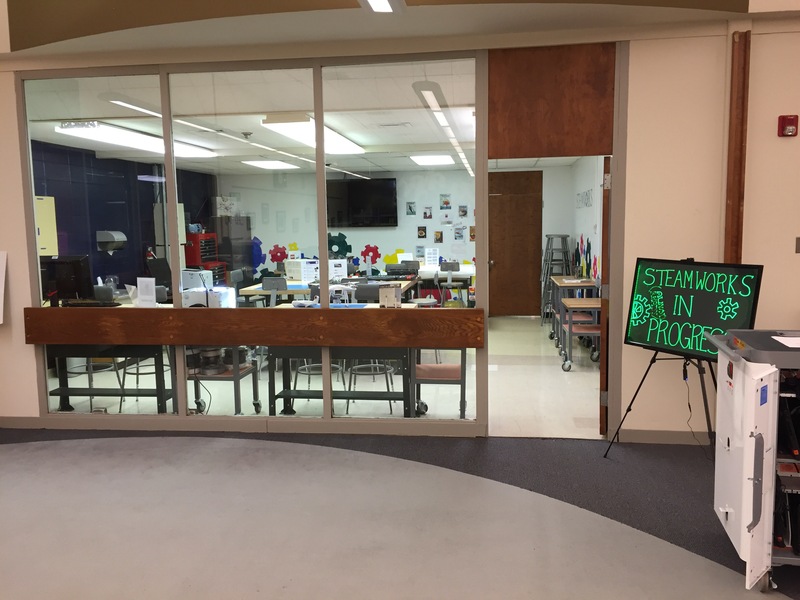 As I’ve chronicled on this blog, we have worked since September to create a makerspace–called STEAMWORKS–here at our high school. 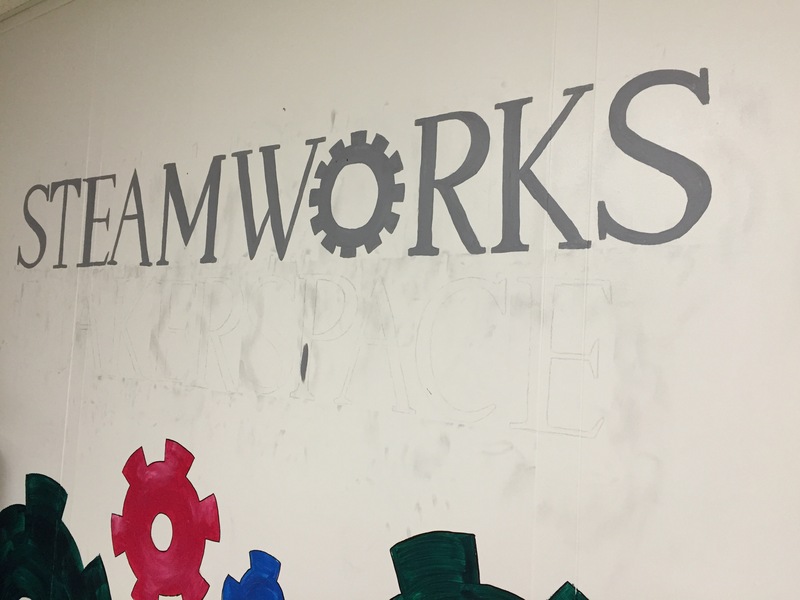 The name “STEAMWORKS” incorporates the acronym STEAM (science, technology, engineering, arts, and math) with the word “works” to symbolize that students will work and explore new technologies as they relate to STEAM. 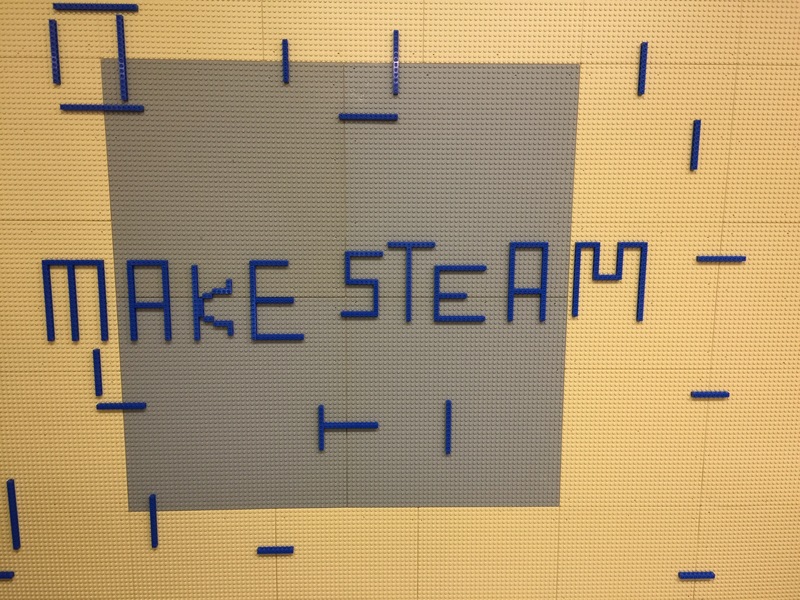 Once the STEAMWORKS Makerspace is completed, it will be filled with things like programmable legos, droids, a 3-D printer, electronic circuits, and just about anything else you can build with. We’ll even have a station where students can take apart technology like old computers to learn how those machines work. 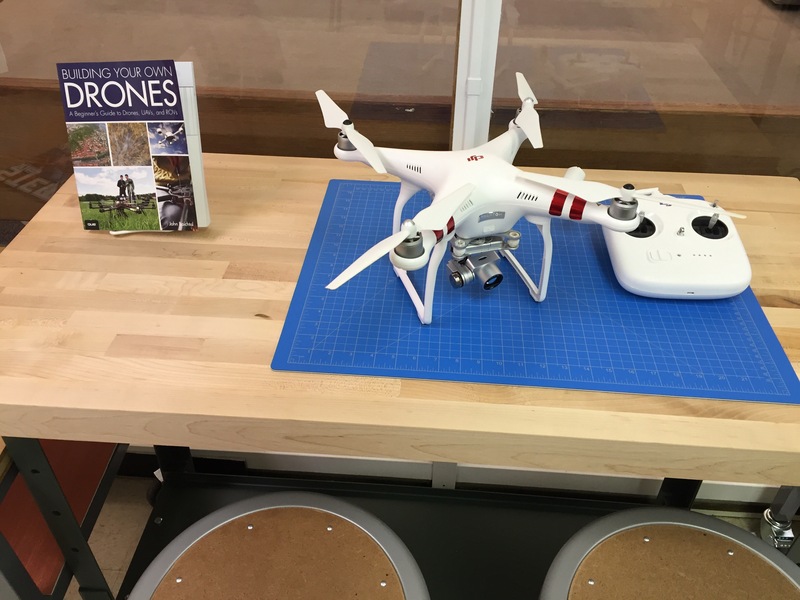 Today, the newest addition to our developing makerspace was delivered: a DJI Phantom 3 drone. So, of course a few of us had to brave the cold and go outside to play with it. Here is a video from our first flight (please watch!). The Phantom 3 is incredible. Watching the video footage really makes you feel like you’re flying. We are hoping for a late winter or early spring opening of the STEAMWORKS Makerspace here at the high school. 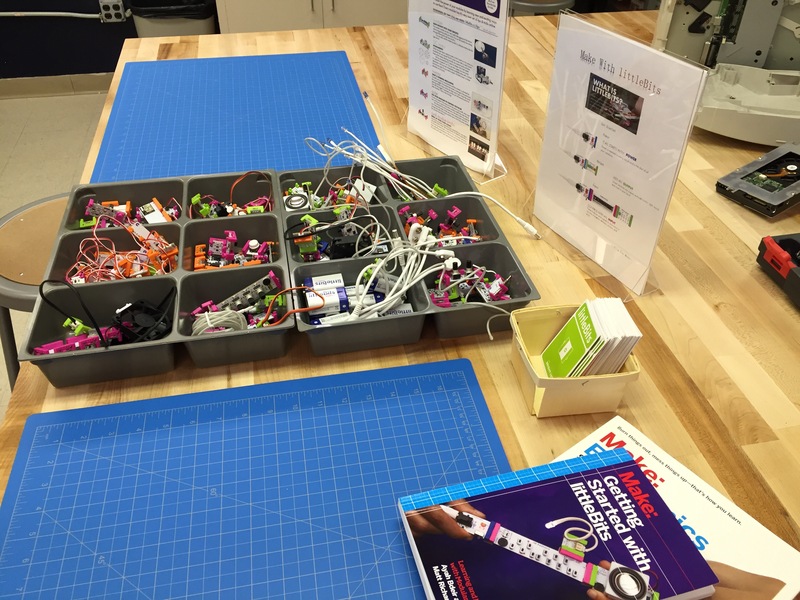 Continue reading for a snapshot of what the makerspace will have. As material and technology start to get delivered, we can see our hard work paying off as our makerspace begins to take flight. The best part about opening a makerspace is that sometimes you get to play with the toys. That’s how a few of us found ourselves braving twenty-degree weather to fly our makerspace’s amazing new drone. What Does The Future Hold for Schools? The New Media Consortium (NMC), a community of hundreds of leading universities, colleges, museums, and research centers, has issued an important report called the Horizon Report: 2015. The report examines emerging technologies for their potential impact on and use in teaching, learning, and creative inquiry in schools (access the report here). The driving question for the report is “What is on the five-year horizon for K-12 schools worldwide?” A team of experts engaged with the report agreed on two long-term trends: “rethinking how schools work in order to bolster student engagement and drive more innovation, as well as shifting to deeper learning approaches, such as project- and challenge-based learning.” The report is a must read for any school district personnel looking to map out the next five years in terms of where they see technology and instruction heading. 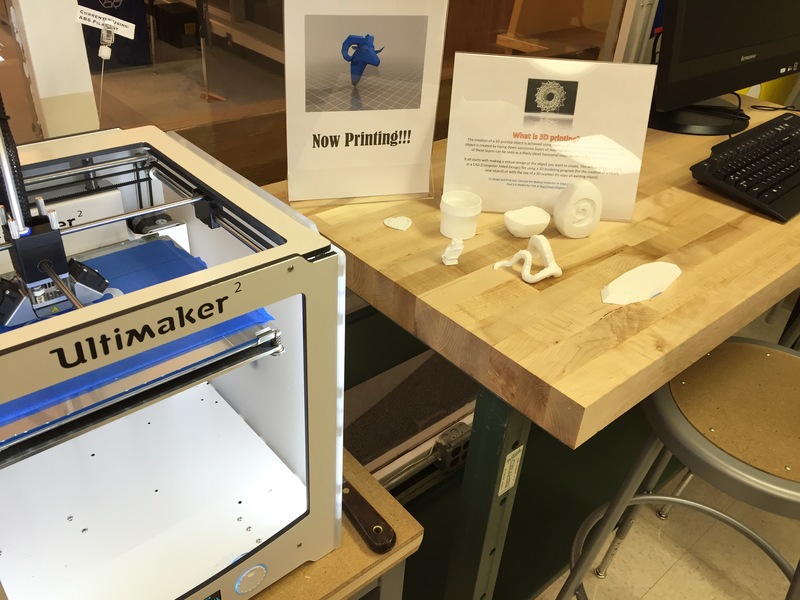 I’m still working my way through the study, but one part that caught my eye was the analysis of the future role makerspaces will play in schools. A makerspace is a place where anyone interested in learning something new can come together to design, create, and build projects of their choosing. In short, makerspaces are where learners can explore their curiosity in a low-risk environment. “Makerspaces are places where anyone, regardless of age or experience, can exercise their ingenuity to construct tangible products,” write the authors in their report. 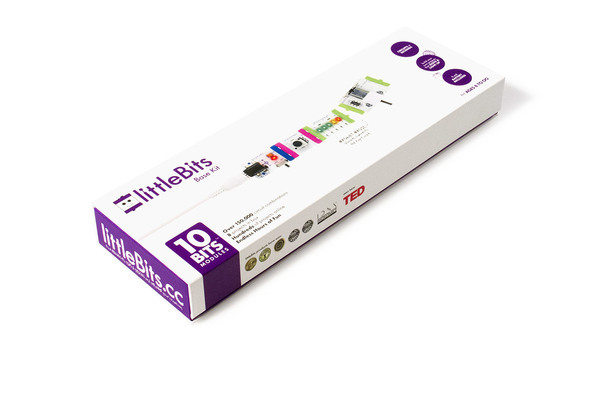 “Schools are turning to makerspaces to facilitate activities that inspire confidence in young learners, and help them acquire entrepreneurial skills that are immediately applicable in the real world.” The report shares a number of makerspace success stories from around the world that are particularly inspiring and also provides a host of links to examples of makerspaces currently in use in K-12 education. The growing global makerspace movement has influenced our district to begin the creation of makerspace areas in our schools. We have spent a fair amount of time visiting other makerspaces in the area, researching best practices, and creating implementation plans. It’s clear that makerspaces are going to be a vital component of a modern learning environment. “The turn of the 21st century has signaled a shift in the types of skillsets that have real, applicable value in a rapidly advancing world,” asserts the authors of the Horizon Report. 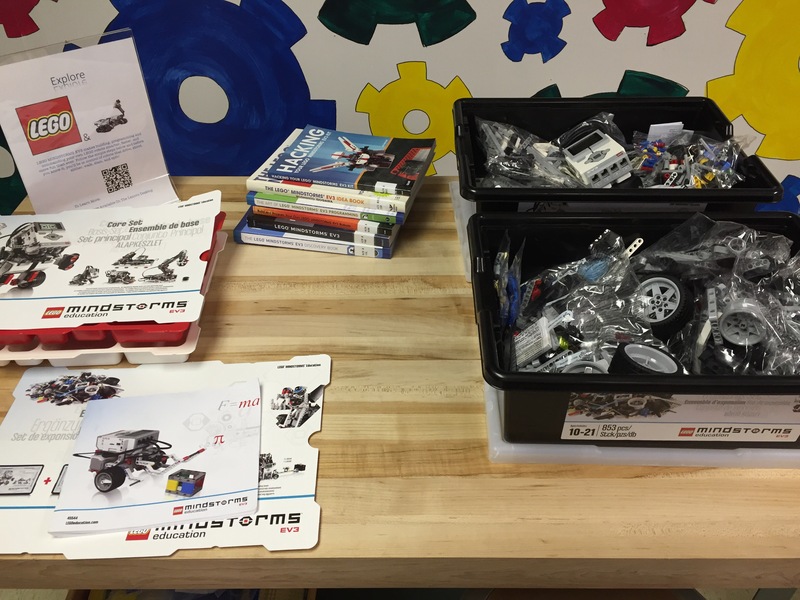 “In this landscape, creativity, design, and engineering are making their way to the forefront of educational considerations, as tools such as robotics, 3D printers, and web-based 3D modeling applications become accessible to more people.” A makerspace can bring these tools to students while encouraging the use of skills they will need to compete in the 21st century. The Horizon Report is packed with anecdotes from case studies and external links to additional resources. It’s a must read for any educator wondering what the future holds for their students. The engineers and venture capitalists of Silicon Valley have embraced the mantra “fail fast” in their relentless pursuit of the next big thing. Failure, which for so long has been something schools did not advocate, is becoming more and more popular in the tech world. To fail fast means that people should fail early and often on their way to a great idea. Failure is now something cool. And it should be. The reality is, we all learn from failure as it’s an essential component in trial and error. But while the Web has made it easier and cheaper to start up and succeed, it has also made it easier and cheaper to fail. Dave McClure is a venture capitalist in a startup incubator in Silicon Valley called 500 Startups. It’s more commonly known by its alternate name: the fail factory. “The alternate name we came up with for 500 Startups was ‘fail factory,'” explains McClure in Fast Company. “We’re here trying to ‘manufacture fail’ on a regular basis, and we think that’s how you learn. Getting used to that, bouncing back from that, being able to figure out what people hate and turn that into what people love…if you’re not willing to take the risk of failing and not experience failure, you’re never going to figure out what the right path is to success.” The reality is, failure has not traditionally been embraced, but this is starting to change. Eric Markowitz of Inc.com hypothesizes that many factors have led people to embrace failure today. “The first, and most obvious answer, is that failure has become inexpensive,” Markowitz writes. “Decades ago, starting a business typically entailed borrowing capital from a bank, friends, or family. Opening a physical storefront required lots of capital. Today, the Web has democratized the process for starting up–building a website and hosting its data, even for e-commerce, are relatively inexpensive.” For these reasons–at least in the the technology world–failure is embraced as it is a necessary part of the learning process. In fact, there is now a global conference series dedicated to studying and celebrating failure called FailCon. learning.” In Skinner’s model, learners were spoonfed new material in small bites and immediately quizzed on it while it remained in short-term memory. As the authors of Make It Stick: The Science of Successful Learning point out, students in Skinner’s model had virtually no chance of making an error. As the two renowned psychologist-authors of Make It Stick reinforce throughout the book, errors are an integral part of the learning process–especially with new material. “Yet in our Western culture, where achievement is seen as an indicator of ability, many learners view errors as failure and do what they can to avoid committing them,” the authors write. “The aversion to failure may be reinforced by instructors who labor under the belief that when learners are allowed to make errors it’s the errors that they will learn.” We know today that this belief is misguided. Freedom from “errorless learning” has so empowered people that a group from Finland has created the Day for Failure taking place next week. It’s a chance for people to lose their fear of messing up. People can participate by tweeting their failures to #dayforfailure. Fail fast, manufacturing fail, fail factory, FailCon are terms that help capture the mood of the technology and venture capital world today. However, the idea of celebrating failure is not likely something you see embraced in daily life. One way schools can embrace failure and teach perseverance is by encouraging self-directed learning (and yes, failure) by giving students a place to invent and learn from their experiences. This is why we are beginning the process of putting makerspaces in our schools. A makerspace is a place where students come together with expert faculty to design, create, and build projects using material and technology they might not come in contact with during the regular school day. Exploration in a makerspace is student driven. Makers are limited only by their imagination. A makerspace is a place to tinker and explore. It’s a place where you can build with legos, print in 3-D, or even learn how to fly a drone. 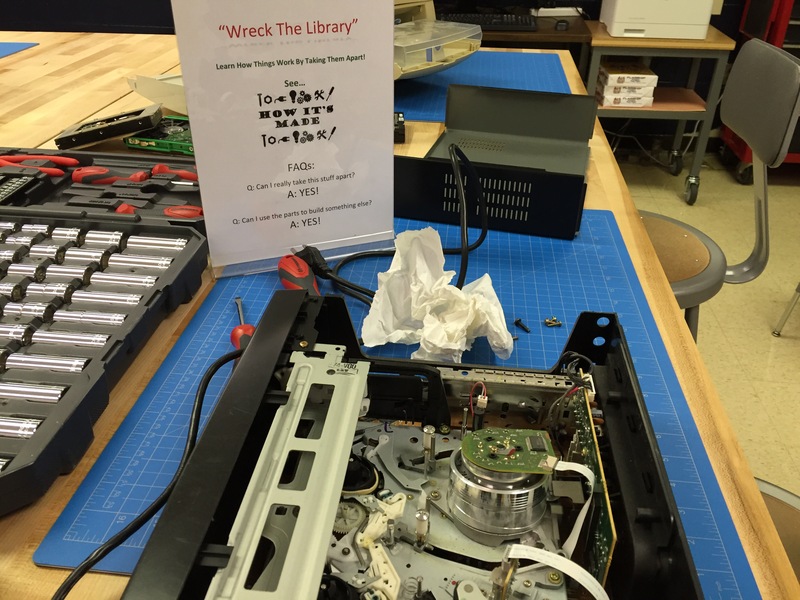 In a makerspace, failure is expected as is learning from mistakes. The reality is, as you explore new ideas and technology, you will always make mistakes. 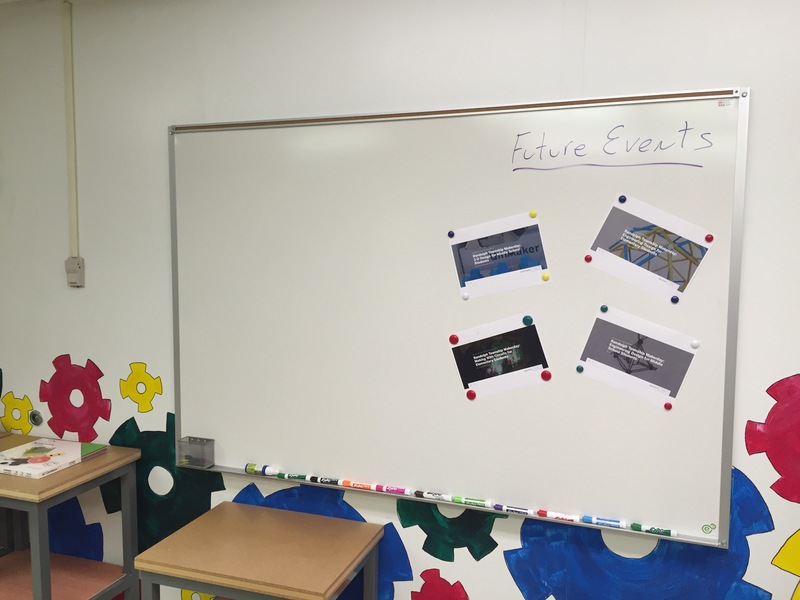 On this blog, I’ll chronicle our makerspace journey as we move from concept to reality. Besides, don’t you want to learn how to fly one of these? While I believe reading classic literature is a valuable experience, helping students see how the themes and ideas in these works are relevant to their own lives can be a challenge. My English IV classes recently finished reading the play Antigone. 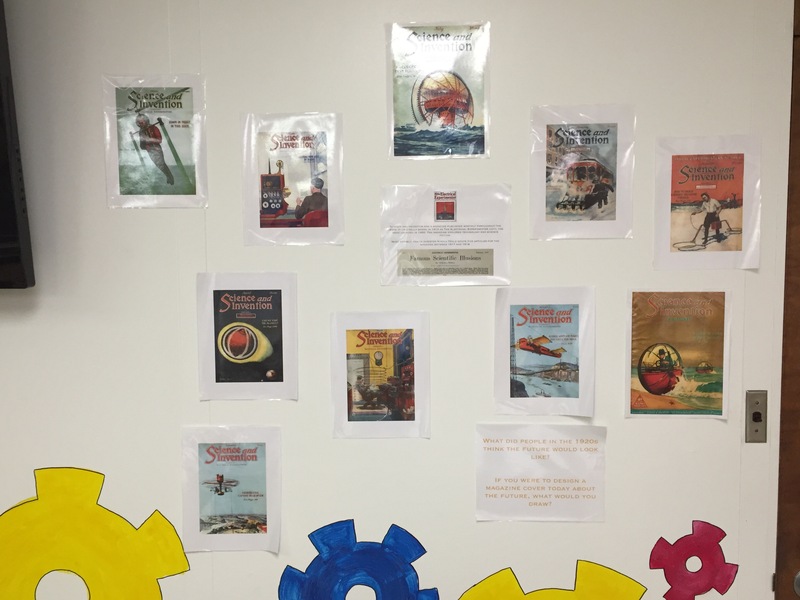 While no one can argue the value of the play, I wanted to come up with a way for my students to demonstrate their understanding of the major themes while also showing them how the themes are still relevant and how they connect to their own interests. 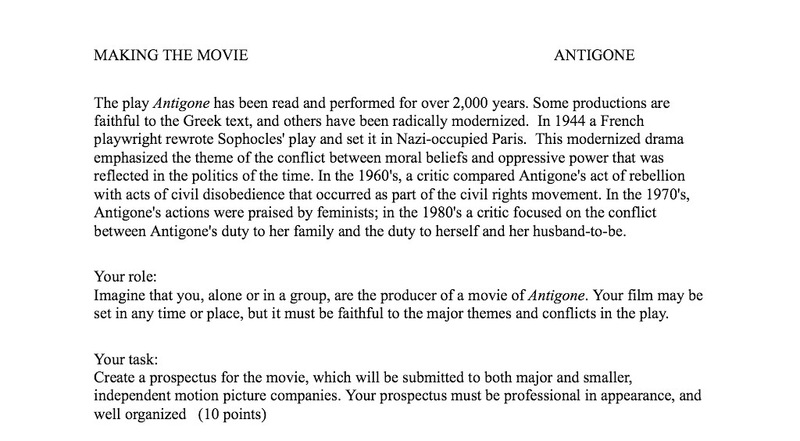 The Antigone Making the Movie Project helped me to achieve my objective. For this project, students were challenged to create a prospectus for a movie connected to one of the themes in the play. Students had to select the theme that was most interesting to them and create several documents including a rationale, a movie poster, a script for a major scene in their movie, and a movie trailer using iMovie. The results were outstanding. One group focused on civil rights and fighting against discrimination. One group focused on a female’s right to play football, a typically male sport. 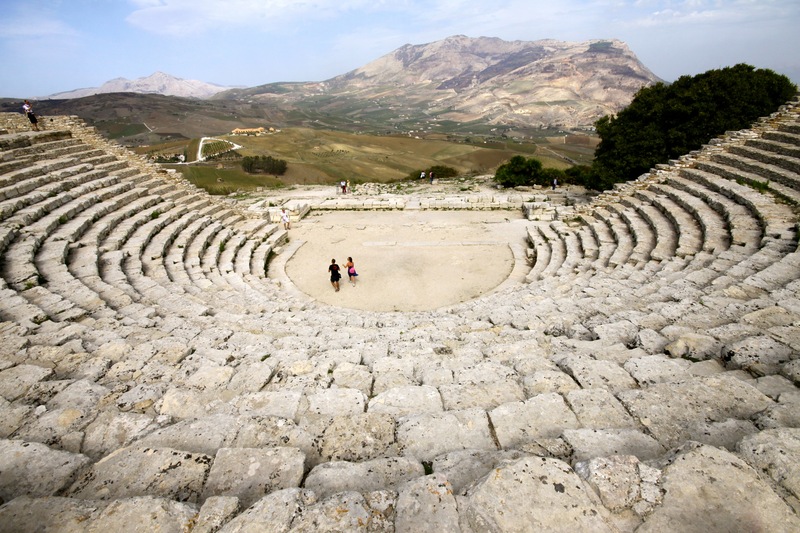 No matter what movie idea the students decided to focus on, they were required to make connections between the theme in Antigone and the theme in their movie. Below you will find two movie trailers my students created for the project. When you give students choices and the power to create something that is meaningful to them, you will be happy with the results.